The 2013 Hemingway-Pfeiffer Fall Writers’ Retreat has come to a close. 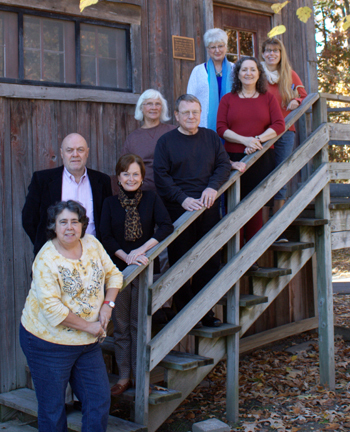 Eight talented writers from five states traveled to Piggott for the Retreat at the Hemingway-Pfeiffer Museum. The next retreat is April 10-12, 2014, with Roland Mann serving as the mentor. Further information about the Retreat is contained in the A-State news article, Talented Participants Complete 2013 Hemingway-Pfeiffer Fall Writers’ Retreat. For the original article, please click here. In the Clay County Times-Democrat article, Thompson Honored, Announces Grant for HPMEC, the check presentation ceremony held at the Hemingway-Pfeiffer Museum to celebrate the grant obtained for the Museum through the efforts of Senator Robert Thompson of Paragould is discussed. At the ceremony, Senator Thompson stated that, “I think the Hemingway-Pfeiffer Museum and Educational Center is the perfect convergence of education, economic development and tourism—and it is so important to Piggott and Clay County.” To read the article, please click here. Senator Robert Thompson has secured legislative funding in the amount of $100,000 for the Hemingway-Pfeiffer Museum and Educational Center. 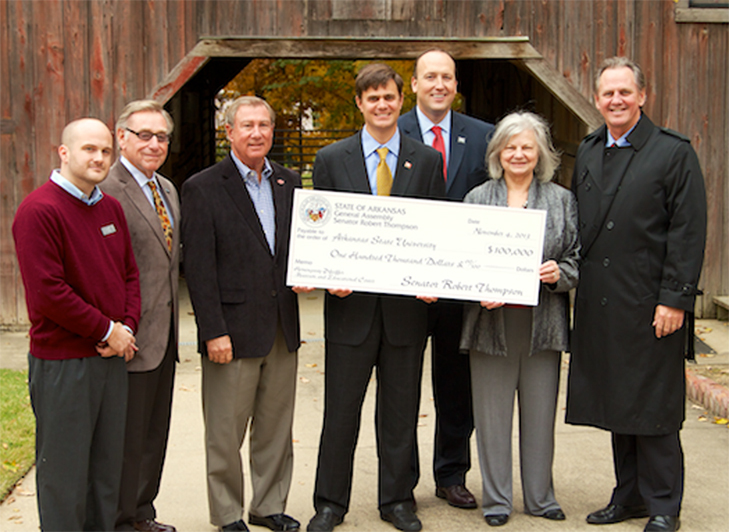 The check was presented to Arkansas State University officials at a ceremony on November 4, 2013, held at the Hemingway-Pfeiffer Museum. Senator Thompson has been a great advocate for Arkansas State University, working with other senators and legislators over the past six years, he has secured more than three million for the Arkansas Heritage Sites program. Further details are provided in the A-State news article, Sen. Robert Thompson Presents $100,000 Check Toward Hemingway-Pfeiffer Project. To read the article, please click here. The New York Times article, Restoring the Tradition of Quail Hunting, discusses the ecological issues preventing quail populations from returning to healthy numbers. 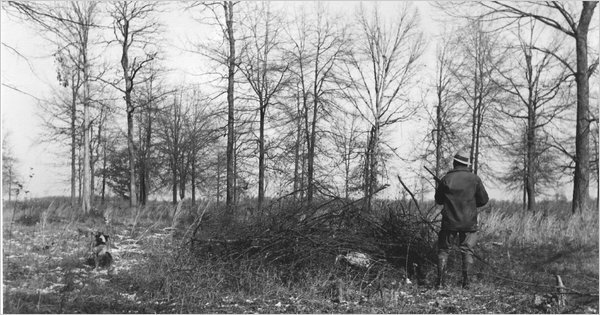 Ernest Hemingway’s love of quail hunting is also mentioned. 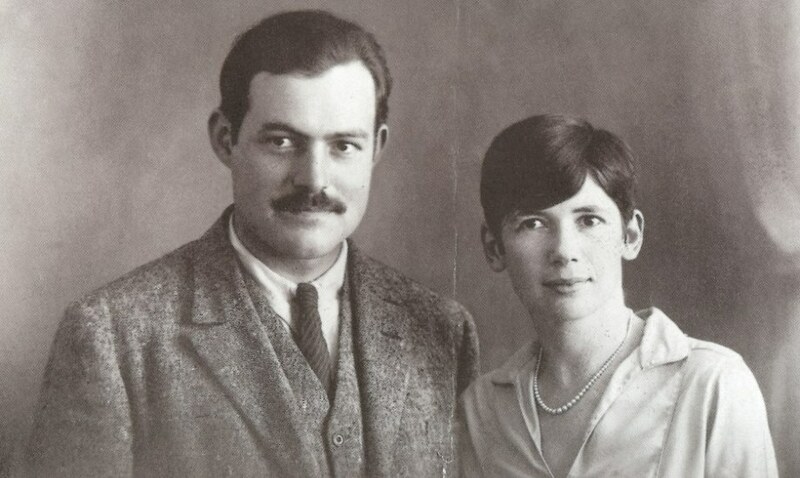 While in Piggott visiting the Pfeiffers with his wife Pauline, Hemingway picked up the hobby and is said to have enjoyed it immensely. To view the article, please click here.